The Amazing Benefits of Anti-Fatigue Mats!! 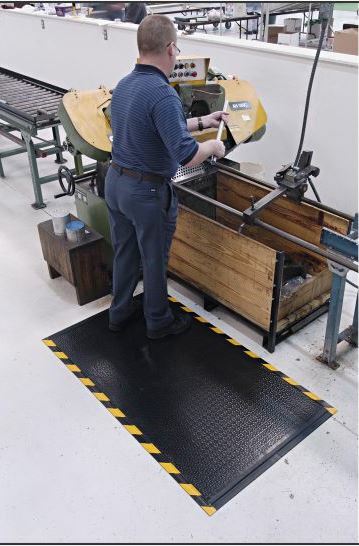 Learn How You Can Help Keep Productivity at a Maximum and Health Problems at a Minimum with Anti-Fatigue Matting! 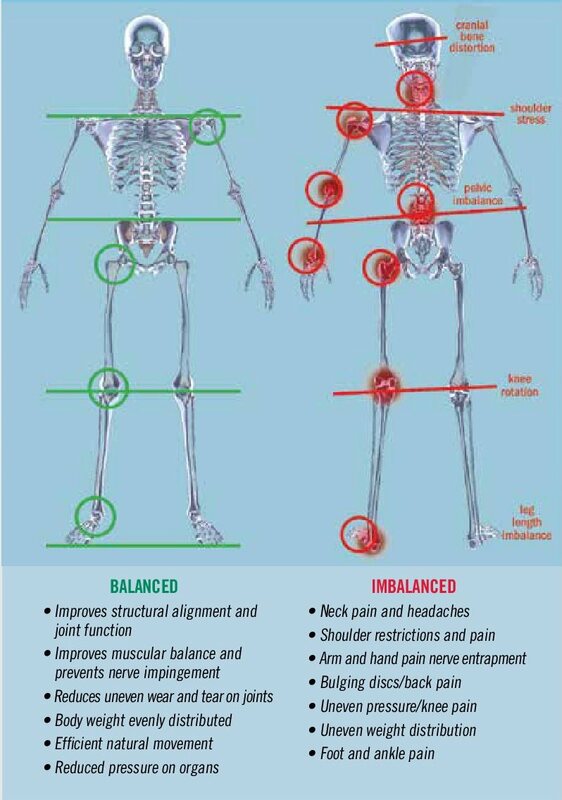 Research shows that employees who stand for long periods of time can develop problems with their legs, back and feet if forced to stand on a hard surface. Muscles can become stiff and tense, and inflammation and varicose veins can occur. Hog Heaven - Available in 5/8" and 7/8" thickness, the Hog Heaven mat is one of the industry standards in anti-fatigue matting. The anti-static Nitrile rubber will not crack or curl. 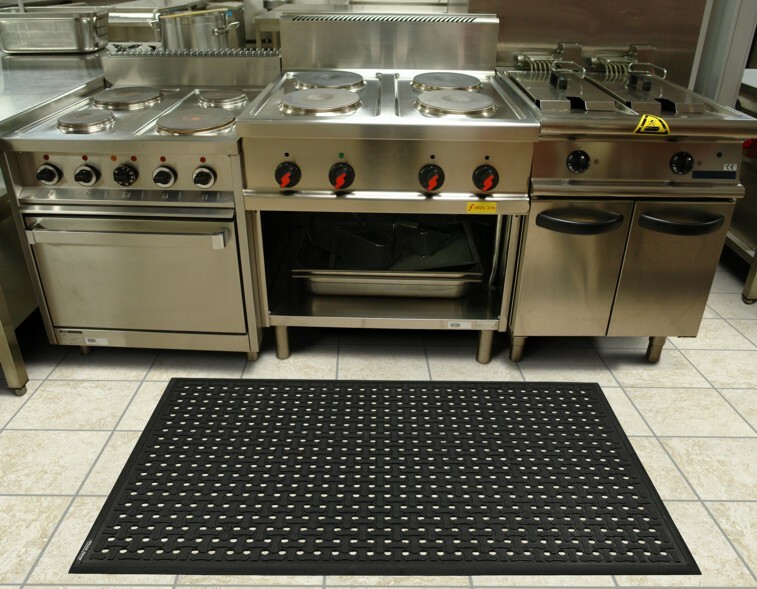 Comfort Flow - This drain through mat is a ideal for kitchens and other wet areas. 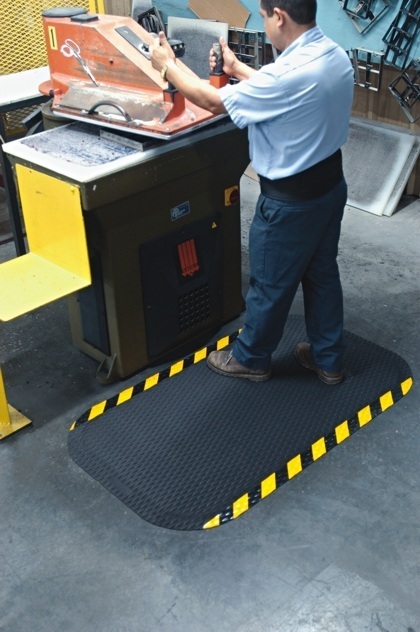 Happy Feet - Ideal for industrial applications, this anti-fatigue mat is resistant to chemicals, animal fats and petroleum based products. Its very dense natural rubber cushion helps prevent deterioration. Salon Decor Mats - As beautiful as they are practical, Salon Decor mats come in five attractive patterns and different shapes and sizes to accommodate shampoo bowls, styling stations and more. These beauty salon and barber shop mats are a step above the standard.